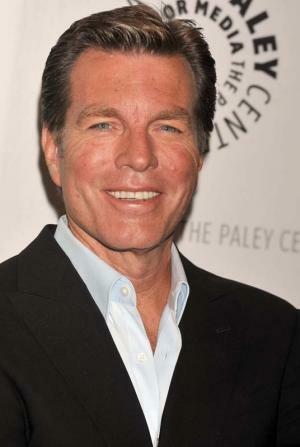 Peter Michael Bergman was born on 11 June 1953, in Guantanamo Bay, on the island of Cuba, and is an actor probably best known for his portrayal of Dr. Cliff Warner in the TV series“All My Children”. He’s also been a part of “The Young and the Restless” since 1989 as the character Jack Abbot. All of his endeavors have helped put his net worth to where it is today. How rich is Peter Bergman? As of mid-2016, sources estimate a net worth that is at $10 million, mostly earned from a career in acting. Aside from his long running television shows, he’s taken part of commercials, and made several guest appearances on TV. He’s also won a few awards, and all of these have contributed to the position of his wealth. Bergman is the son of a US Navy officer, hence the family moved around a lot; later on he attended the American Academy of Dramatic Arts. He originally started out auditioning for the role of Dr. Jeff Martin in “All My Children”, but was actually cast as Dr. Cliff Warner, and played the role from 1979 to 1987, and then reprised the role from 1988 to 1989. During his time in the series, his character married Nina played by Taylor Miller four times, with three of them ending in divorce. During the end of their run, their marriage was intact. During his popularity on “All My Children” Bergman appeared in a commercial of Vicks Formula 44, replacing Chris Robinson who was a part of “General Hospital”. He became the official spokesperson for their advertising campaign and had the line “I’m not a doctor, but I play one on TV” as a disclaimer, however, his popularity with the commercial wasn’t as profound as Chris Robinson’s. In 1989, Peter was cast in “The Young and the Restless”, and would then go on and portray the same role in “The Nanny” and “The King of Queens”, continuing up to the present day. His net worth has clearly benefited considerably from these roles. Aside from those, Peter’s been a part of several television films, including “Fantasies”, “Money, Power, Murder” and “Danielle Steel’s Palamino”. He also made a guest appearance as Jack Abbot in “The Bold and the Beautiful”. A few other projects he’s worked are “The 5 Mrs. Buchanans”, “Fantasies”, and “Phantom of the Ritz”. For his work, Bergman’s been nominated for a Daytime Emmy Award for “All My Children”. He’s won a Daytime Emmy three times for “The Young and the Restless”, and a Soap Opera Digest Award once for his performance. Overall, he’s been nominated over twenty times, with most of them being for “The Young and the Restless”. For his personal life, it is known that Peter married actress Christine Ebersole in 1976, but they divorced in 1981. Four years later, he married MariEllen; they have two children, and currently reside in Los Angeles where Peter can be found supporting various charitable events. 2 Starred in a commercial for a cough syrup with the line "I'm not a doctor, but I play one on TV", circa 1986.